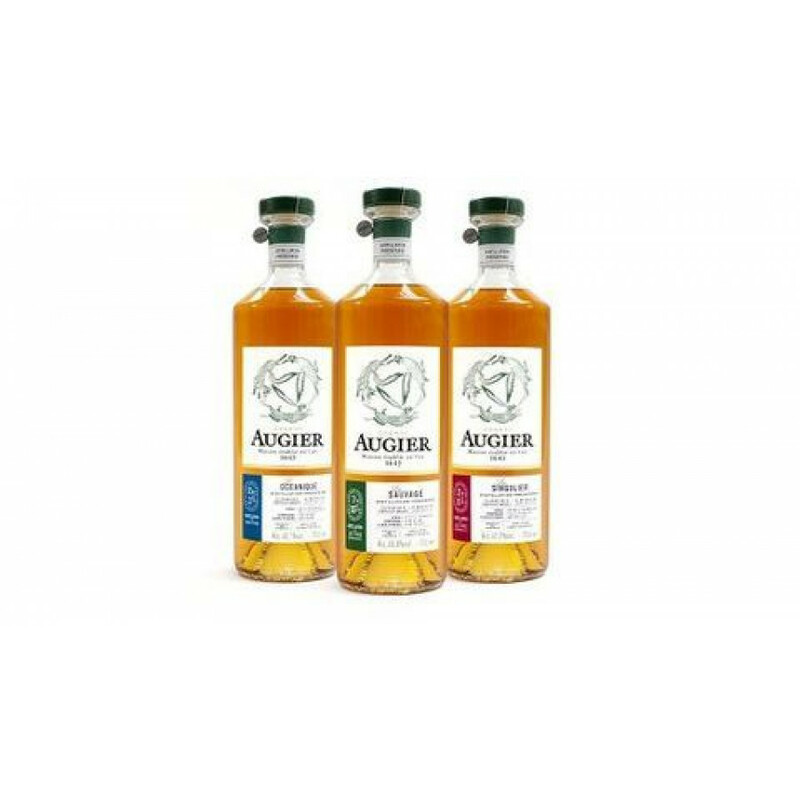 The Trilogy Augier Cognac is a wonderful set that comprises full sized (700ml) bottles of the three Cognacs created by this traditional, artisan producer. Each is of Napoleon quality, and a single-growth, single-grape creation. It's a wonderful set that allows the purchaser to truly compare and contrast how the various gowth regions and grapes can provide such a different taste experience. And, of course, purchasing the three bottles together in this tasting set offers an attractive discount on the cost of the individual bottles. 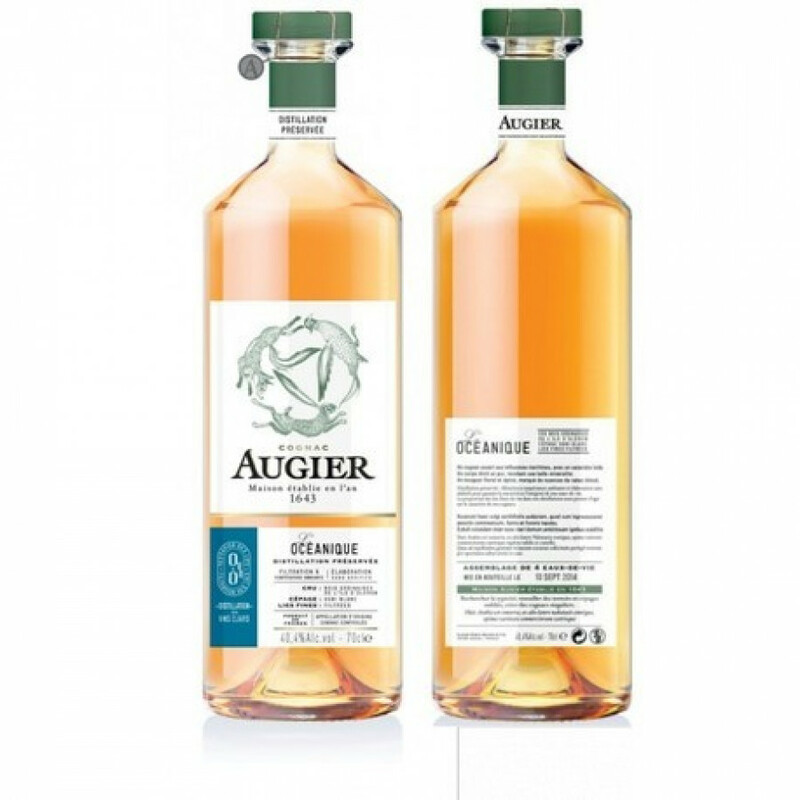 1 x full sized bottle of Augier Océanique Cognac: Created from Ugni Blanc eaux-de-vie grown in the little-known terroir of Bois Ordinaires, on the Island of Oléron. Grapes grown here are influenced by the spray of the ocean, impactinng on them unique mineral notes and a hint of salt from the sea. 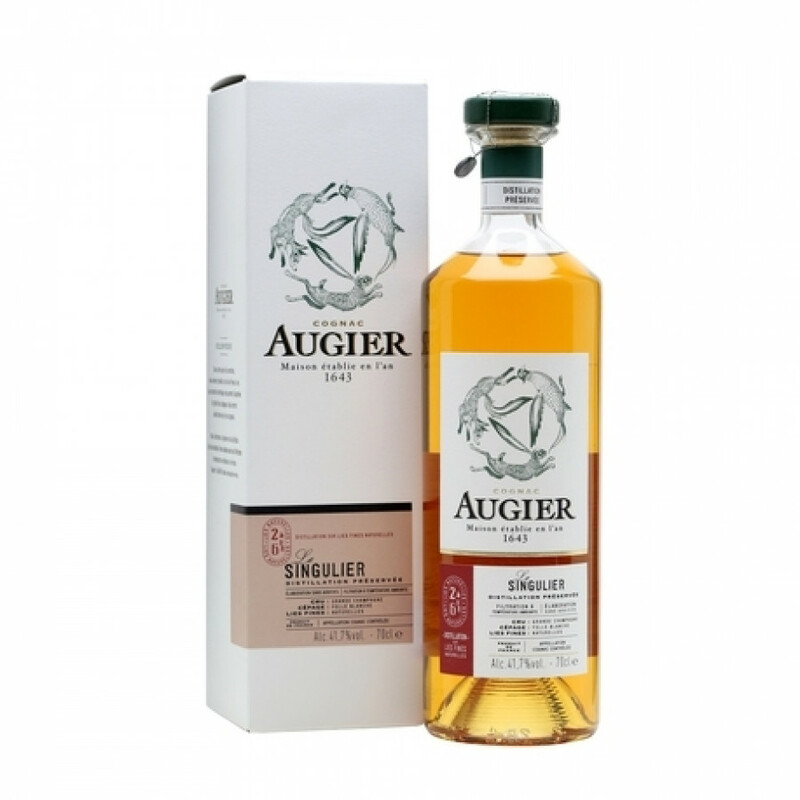 1 x full sized bottle of Augier Sauvage Singular Cognac: This Petite Champagne Cognac is made from Ugni Blanc grapes, and the chalky soils of the terroir have given this Cognac true structure and balance. it's a real taste experience to contrast this with Océanique - both created from the same grape but a true discovery into how environmental differences can create such a different final product. 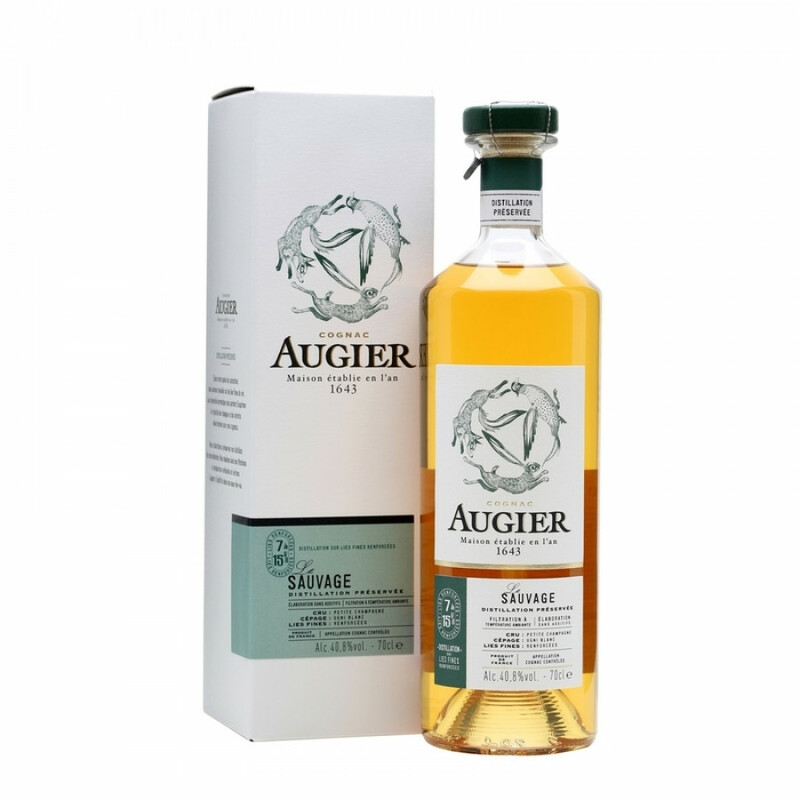 1 x full sized bottle of Augier Singulier Cognac: A Fine Champagne, Folle Blanche eaux-de-vie that's both rich and complex. The Folle Blanche grape has a remarkable aromatic intensity, yet is one of the rarer grapes used to produce Cognac. This has led to a Cognac that manages to fine-balance the true aromatic experience with the finesse necessary for a powerful, yet delicate taste.